Legend of the Burning Sands at RPGNow! To the north of the Empire of Rokugan, lies a mysterious land called the Burning Sands, where great empires clash, where deadly intrigues abound in the great Jewel of the Desert, and where intrigue and war are one in the same. To Rokugani, the Burning Sands are a gaijin enigma. But as the long exile of the Unicorn and the shorter exile of the Scorpion have proven, the destinies of the two are intertwined, whether the Rokugani understand this or not. 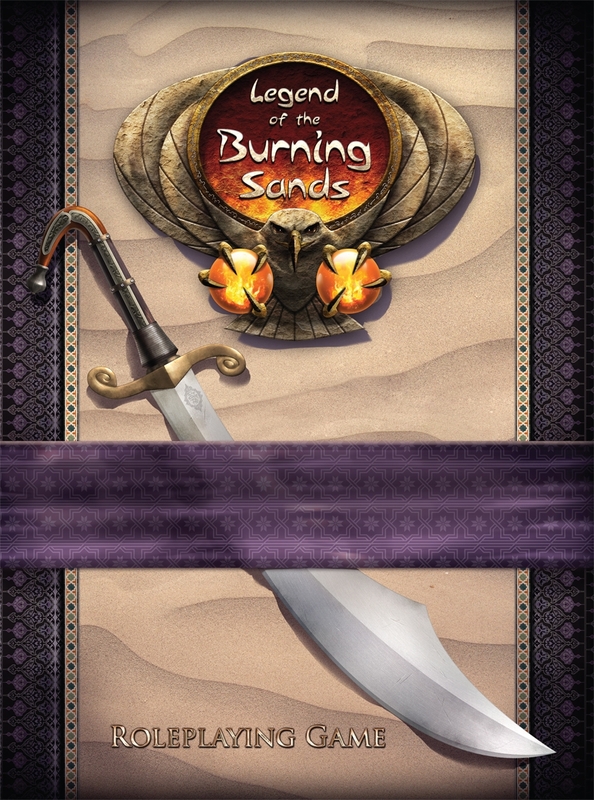 The Legend of the Burning Sands has exerted a powerful pull on the imagination of gamers since its debut with the collectible card game in 1998. With this book, it joins the Legend of the Five Rings Role-playing Game with its unique core Roll and Keep mechanics. But, it can also be used as a stand-alone role-playing game product. Legend of the Burning Sands is available in PDF and Print at RPGNow.com!